As gardeners, we know all about great partnerships in the garden. Compost and growing vegetables. Earthworms and airy soil. Bees and pollination. 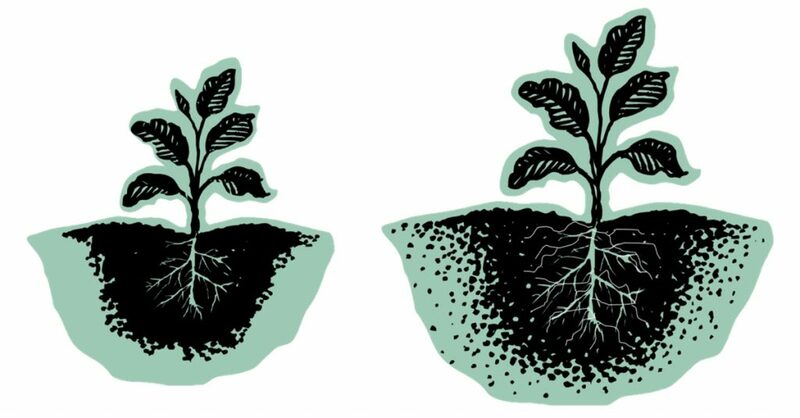 One partnership that may be lurking right under your nose is the one between your plants and already existing mycorrhizal fungi in your soil. This is a pretty strong partnership that is mutually beneficial to all parties involved. You may not even realize that this may be happening in your soil, but you may be doing a few things that are damaging your natural population of fungi. Let’s dive deeper into these miracles of symbiosis. Mycorrhizae hyphae attached to plant roots. 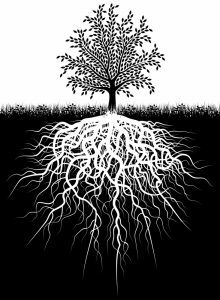 Mycorrhizae are several species of fungus that share a beneficial relationship with plants. They have these long strings that look like roots called hyphae that grow by plants that are willing to partner with them. They will actually attach themselves to these plants and will work their root-like filaments around the soil further than the roots normally would. They will be bringing more moisture and nutrients than the roots of the plant. In effect, the fungi act as an extension of your plant’s root system. In fact, this extension of the root system can be 200 times the reach of the plant’s root system alone which can offer about 100 times more nutrients than the plant can reach alone. Also, mycorrhizae produce a glycoprotein called glomalin that will stabilize the soil. This glycoprotein acts like a soil glue that keeps the soil together while still allowing for better water and air movement in it. 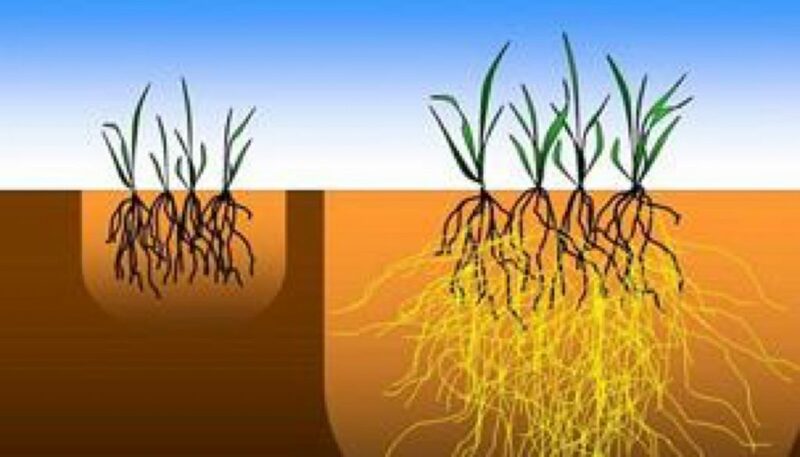 Mycorrhizae hypha mycelium network increases active root surface for nutrient acquisition up to 200 times! Breaking down the word, mycorrhiza can help to give a little insight into why you want these fungi in your soil. Myco comes from the Greek word, mýkēs meaning fungus, and rhíza, the Greek word for roots. This relationship between your plant’s roots and these fungi is pretty powerful. 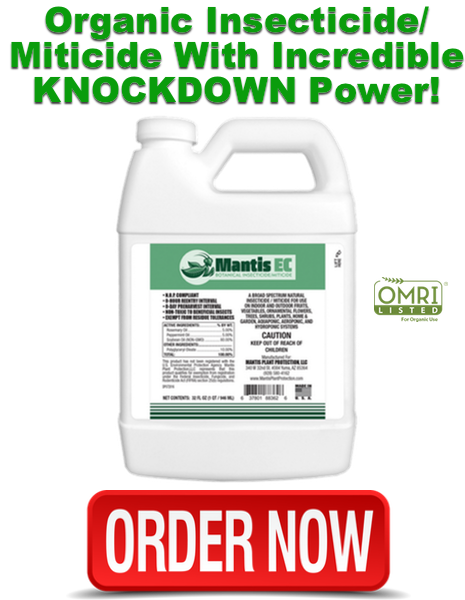 It can help to increase your plant’s resistance to droughts through better root systems. 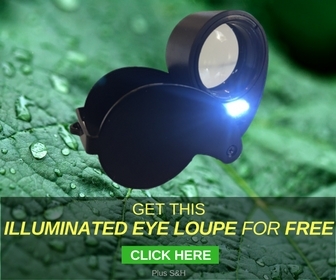 It assists your plant in being able to absorb more nutrients. Your plant will have better stress resistance and be more robust. Your plants’ immunity to diseases will be higher. Any cuttings taken will have a stronger root structure. Plus, transplants in your soil will become established quicker through root growth and will grow faster. This is all great for your plants, but you may be wondering what the fungus is getting out of this partnership, and that is food. The fungus is unable to undergo photosynthesis for itself, so while the fungus helps your plant thrive, the plant shares a bit of the food that it makes. Do All Plants and Mycorrhizae Work Together? Which plant do you think contains mycorrhizae fungi in it’s soil profile? Mycorrhizae doesn’t work with all plants to offer this amazing partnership. Corn, tomatoes, and cannabis are three crops that really thrive when in contact with this type of fungus. Roses, trees, shrubs, and grass also do much better when mycorrhizae are present in the soil. Some of the plants that don’t show any response from the mycorrhizal fungi include leafy greens and beets. You may find that the soil surrounding these particular plants are dead spots for these fungi as they will die out from not getting the nutrients that they need. How Do You Know if You Have Mycorrhizae Already? 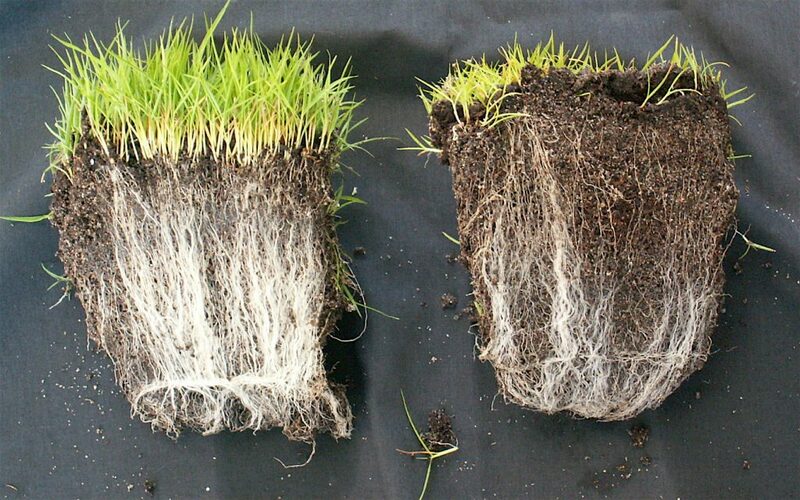 Left clump of grass/soil contains mycorrhizae. If you’re working with natural soil rather than just sterile potting soil, there’s a good chance that you already have mycorrhizae in your soil. You may have even seen this fungus in your soil without realizing what it is. You may have thought that it was just part of the root system of your plants. You’ll normally see these thin, long strings around your plant’s actual roots. These white strings are actually the mycorrhizal fungi. Phosphate fertilizer can be bad for mycorrhizal fungi in your garden. Over-watering your garden may kill off mycorrhizal fungi. 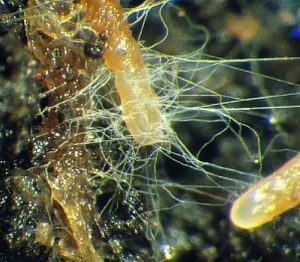 Not having enough organic material in the soil may damage your population of mycorrhizal fungi. When adding organic material, you’ll want to place it on the top of the soil rather than deeply mixing it as this can also be harmful to the hyphae. Tilling your soil too much may have killed off your mycorrhizal fungi. Tilling every year can break the delicate hyphae that take time to grow. 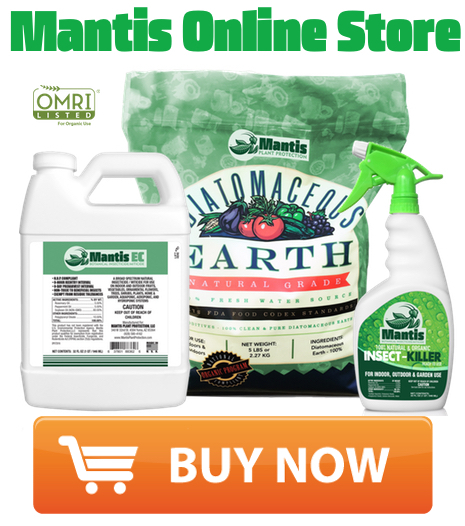 Using clear plastic to kill weeds and pest insects can also kill off your mycorrhizal fungi. This is some good news here even if you’re guilty of activities that can damage your soil’s population of mycorrhizal fungi. The first is that you now know what activities could be harmful to these beneficial fungi. Start adding more organic matter, and stop over-tilling, over-watering, using clear plastic and phosphate fertilizers. In addition, there are commercial amendments available that will add mycorrhizal fungus back into your soil. These commercial amendments often have a variety of strains of mycorrhizae in them in hopes of matching the plants in your garden as some of these strains are plant specific. This symbiotic relationship between mycorrhizae and the plants in your garden is one that you want to nurture. Some people shy away from the thought of fungi around their homes, but all fungus provides a valuable service in breaking down organic materials. If you’re not providing your mycorrhizae with an ideal environment, you could be letting your plants down. Do what you can to nurture these delicate fungi. Did you find this post helpful? If so, I would greatly appreciate it if you commented below and shared on Facebook or your favorite social media platform. Thanks! P.S. 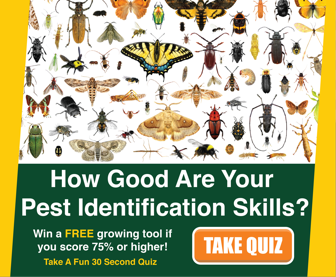 Having trouble controlling insect pests organically? 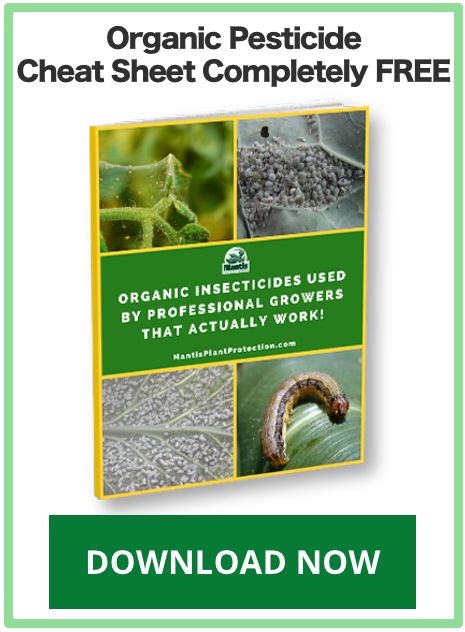 Click here to download a list of the the best organic pesticides that work FAST and are used by professional crop advisers. Shannon McKee is a freelance writer that works to supply her expensive gardening habit that started with just a few tomato plants and has grown yearly in her urban backyard.She lives in Ohio with her long-suffering hubby, two boys, and a motley crew of pets.You can reach her at whyiwah@gmail.com. Do We Need Organic Standards for Cannabis Production?